Our company started in 1988 ( as Century Ads & Trading ) specializing in customize Graphic, engraving, signages and material supply. 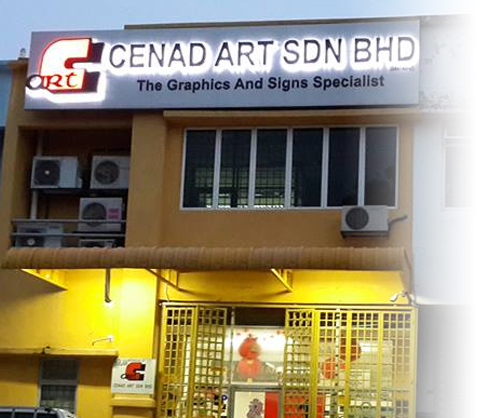 Over the last 15 years we have grown into one of the most reliable partner and supplier of indoor signages in the northern industries belt in Malaysia. Our philosophy is to produce high quality products at economical prices. Be fully commited to our customer, services and satisfaction. This Fact can be found for most of sales come from regular repeated customer order. Our primary tools are PC based Computer network interface with high resolution scanners & printers connecting with high accurately fast speed automation plotter, marker, vinyl cutters, CNC engraver, laser-cut / engraver, Injet machine.